Enhanced Intel Infrastructure Management Technologies will enable increased utilization and workload optimization across data center resources. Intel Security Libraries for Data Center (Intel SecL-DC) is designed to simplify the integration and deployment of hardware-rooted Intel security technologies at cloud scale. Intel SecL-DC brings optimized programming interfaces and management tools for many Intel security technologies together in one easy-to-use set of libraries and tools compatible with cloud environments like OpenStack, Docker and Kubernetes Extensions. For security-sensitive organizations, Intel engineers have worked with Lockheed Martin to deliver a new hardened virtualization platform. This Intel Select Solution for Hardened Security with Lockheed Martin is a full-stack solution, from hardware through hypervisor that features greater data confidentiality through VM memory encryption and cache isolation. It offers robust platform integrity with trusted boot all the way through to runtime, and improved availability through more deterministic Quality of Service and protections from Noisy Neighbors. The new Intel Xeon Platinum 9200 processors feature up to 56 cores and 12 memory channels to deliver breakthrough levels of performance with the highest Intel architecture FLOPS per rack, along with the highest DDR4 native memory bandwidth support of any Intel Xeon processor platform. The new Intel Xeon Platinum Processor (8200 Series) will offer up to 28 cores and 2, 4 and 8+ socket configurations. The Intel Xeon Gold Processor (6200 Series) is Networking Specialized (NFVi optimized) with Intel Speed Select Technology – Base Frequency. 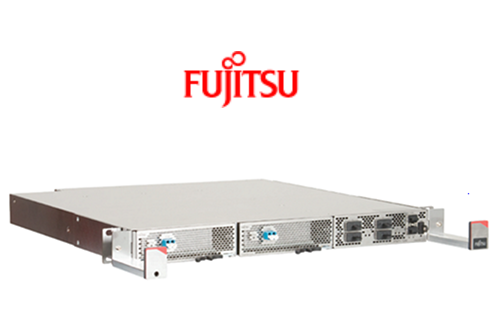 It offers up to 1.76x NFV workload perf improvement and additional flexibility to enable up to 8 high-priority cores that support virtualized workload acceleration for maximum performance and power efficiency. It scales to up to 24 cores. Intel introduced its new Intel an"Agilex" field programmable gate array (FPGA) family targetted at embedded, network and data center markets. The Intel Agilex family combines FPGA fabric built on Intel’s 10nm process with innovative heterogeneous 3D SiP technology. This provides the capability to integrate analog, memory, custom computing, custom I/O, and Intel eASIC device tiles into a single package with the FPGA fabric. Intel delivers a custom logic continuum with reusable IPs through a migration path from FPGA to structured ASIC. One API provides a software-friendly heterogeneous programming environment, enabling software developers to easily access the benefits of FPGA for acceleration. Intel said the new product is the first FPGA to support Compute Express Link, a cache and memory coherent interconnect to future Intel Xeon Scalable processors. Agilex also supports 2nd-generation HyperFlex Architecture, which offers up to 40 percent higher performance, or up to 40 percent lower total power compared with Intel Stratix 10 FPGAs. The new Agilex family is also the only FPGA supporting hardened BFLOAT16 and up to 40 teraflops of digital signal processor (DSP) performance (FP16). It also supports Peripheral component interconnect express (PCIe) Gen 5. The Agilex transceiver supports up to 112 Gbps data rates. Advanced memory support includes DDR5, HBM, and Intel Optane DC persistent memory. “The race to solve data-centric problems requires agile and flexible solutions that can move, store and process data efficiently. Intel Agilex FPGAs deliver customized connectivity and acceleration while delivering much needed improvements in performance and power1,2 for diverse workloads," stated Dan McNamara, Intel senior vice president, Programmable Solutions Group. West Corporation, a global provider of communication and network infrastructure services headquartered in Omaha, Nebraska, has deployed Fujitsu Network Communications' 1FINITY and Virtuora platforms in a live 200G data center interconnect (DCI) network. West chose to deploy enhanced optical transport on top of their existing network to interconnect data centers in four key metro areas: Atlanta, Dallas, Denver and Phoenix. In 2018, West provisioned high-performance 1FINITY T310 Transport blades in a 200 Gbps alien wavelength configuration, introducing greater capacity, speed, efficiency and resiliency to their existing optical network platform. West also deployed the Virtuora Network Control Solution to simplify operations for their entire network, facilitating scalability and agility to meet real-time capacity demands with an open, programmable platform. The O-RAN Alliance and the Linux Foundation have established the O-RAN Software Community (O-RAN SC) to provide open software aligned with the O-RAN Alliance’s open architecture. As a new open source community under the Linux Foundation, the O-RAN SC is sponsored by the O-RAN Alliance, and together they will develop open source software enabling modular, open, intelligent, efficient, and agile disaggregated radio access networks. The initial set of software projects may include: near-real-time RAN intelligent controller (nRT RIC), non-real-time RAN intelligent controller (NRT RIC), cloudification and virtualization platforms, open central unit (O-CU), open distributed unit (O-DU), and a test and integration effort to provide a working reference implementation. Working with other adjacent open source networking communities, the O-RAN SC will enable collaborative development across the full operator network stack. Intel announced the appointment of George S. Davis as executive vice president and chief financial officer (CFO). 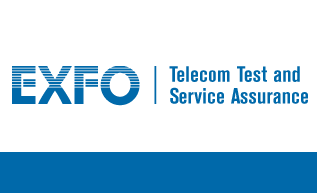 EXFO reported IFRS sales of US$73.9 million for its second quarter, ended February 28, 2019, up 14.2% from US$64.7 million in the second quarter of 2018. Second-quarter sales for 2019 included a US$7.5 million revenue contribution from Astellia, which was reduced by US$0.6 million to account for acquisition-related fair value adjustment of deferred revenue. In comparison, Astellia had generated US$1.8 million in revenue for one month in the second quarter 2018. "EXFO delivered outstanding second quarter results with strong revenue and bookings growth, profitability and cash flow generation—all encouraging signs for our T&M and SASS product families and the leverage in our operating model," said EXFO's CEO Philippe Morin.